The nursing profession has rapidly evolved and expanded since its establishment in the mid-1800s, and today’s nurses are essential to effectively delivering health services to the general population. But right now the U.S. health care system is facing a crisis — a nursing shortage. The number of people living in a community defines the number of nurses needed to care for its residents. This is a concern because the population is increasing at a much faster rate than the number of trained and highly educated nurses. At the same time, health care organizations are working to position nurses as providers of basic medical services like primary care. Family nurse practitioners (FNPs) are the most common primary care providers in nursing, and becoming one requires broad knowledge of common medical issues and complex health care topics. Earning a graduate or postgraduate degree will fulfill the academic requirement to become an FNP, but further certifications will be necessary as well. The health care needs of the patient population have increased, and therefore the level of expertise of active nurses must expand as well. The country needs more nurses who have earned a Master of Science in Nursing to confront this nursing shortage head-on. Why Is Nurse Practitioner Demand Increasing? Health care facilities around the U.S. are currently faced with delivering health care services to unprecedented volumes of patients, but this is only one of many of the causes of the nursing shortage. Nurses aging out of the profession and into retirement also contribute to this trend. Additionally, many of the nurses who are reaching retirement age are educated and experienced leaders who make significant contributions to their organizations. When these key figures leave the field, efficiencies drop and patient health is put at risk. To address the rising demand for nurse practitioners, thought leaders in the health care discipline have been advocating for young people to enter the field and for active nurses to earn higher-level degrees in order to expand their skill sets. With more Bachelor of Science in Nursing (BSN) and Master of Science in Nursing (MSN) graduates collaborating in the field, health care organizations will be able to increase the efficiency of patient care without exhausting their limited resources. But not all MSN graduates are equally qualified. MSN graduates who choose to earn their nurse practitioner certification after graduation are highly desirable job candidates because completing the NP certification process prepares them to communicate, collaborate and coordinate the delivery of complex nursing care. People aren’t solely entering the nursing profession for altruistic reasons — many choose this career path because it offers plenty of lucrative benefits to those who work hard at it. In fact, according to Becker’s Hospital Review, nurse practitioner ranked at number five on their list of the top ten jobs in health care. This is likely due to the rewarding nature of their work, as not only are they able to contribute meaningfully to society, but they are also paid well over the median salary of $56,516 that the U.S. Census reported in 2015. According to the U.S. Bureau of Labor Statistics (BLS), registered nurses, who often hold a bachelor’s degree or lower, earned a median annual salary of $70,000 in 2017. Nurse practitioners, who must hold graduate or postgraduate degrees, earned a much higher median salary of $110,930. Nurses who continue their education can achieve significant career and salary growth over time, especially in this current period of high demand for educated nursing professionals. Nursing isn’t the only health care profession that is struggling to keep jobs filled — the U.S. is also facing a severe shortage of physicians. In the past, physicians were the only health care providers qualified to deliver basic medical treatments in a primary care setting. But due to the inadequate number of physicians actively practicing today, nurses have been encouraged to step in and take on some of this workload. In many states, the legal scope of practice for family nurse practitioners has expanded, enabling them to become primary care providers. This helps areas of the country that have limited access to medical facilities, like rural communities because NPs are more numerous than physicians. Are You Suited to Become a Family Nurse Practitioner? Before nurses decide to become FNPs, it’s important for them to determine whether the position is in line with their ultimate career goals. 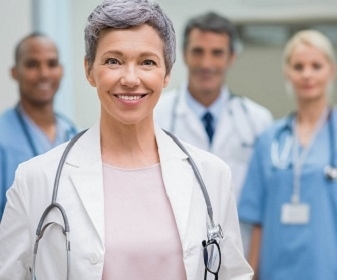 According to health care staffing company Staffcare, nurse practitioners are increasingly "playing a critical role in care delivery and coordination." Therefore, nurses who are interested in taking on leadership roles in health care settings may discover expanded opportunities in this role. The same company also reported that the scope of practice for NPs is increasing, meaning nurses searching for more challenging work may be able to find it working as FNPs. How Long Will This High Demand for Nurse Practitioners Last? There isn’t a precise estimate of how long nurses will be in high demand, but the BLS does have employment projections that predict a massive growth in the number of jobs available in the profession. Registered nurse jobs are expected to grow by approximately 438,000 new jobs between 2016 and 2026 (15 percent). Nurse practitioner jobs will be seeing a much higher percentage of growth, at 36 percent between 2016 and 2026, with the number of existing positions increasing from 155,500 to 211,600. Of course, competition for family nurse practitioner positions will be limited only to those nurses who have earned their Master of Science in Nursing and fulfilled their FNP certification requirements. Becker’s Hospital Review reports that half of the millennials they surveyed said they prefer to avoid seeing primary care doctors in order to save money. As an alternative, millennials who cannot afford a visit to the doctor often opt to receive primary care from an FNP or other nurse practitioner at a local private practice or urgent care clinic. People who have already started working in nursing should consider capitalizing on the nursing shortage now by studying to become qualified family nurse practitioners. Holding an FNP license that demonstrates their expertise in the field will allow educated nurses to stand out when applying for more competitive nursing jobs and to be ahead of the curve as the nursing job market continues to expand. Please place this in the np student section where it belongs. The sponsored topic posters CAN post to the thread. allnurses.com has been utilizing sponsored topics for some time now and they are clearly labeled so that our members are aware that these are promotions by companies. Hope that explains the issue. As to the edit, yes, a post was edited per the terms of service - sometimes its better to just pass over threads that are of no interest versus engaging. This is what happens when schools trying to up their numbers advertise on nursing sites under the guise of "articles". Note to admin, we are more articulate and well versed on issues of our profession than the lay person. Take that into consideration before approving faux articles like this. This reminds me of the "nursing shortage" propaganda. NPs are measured as advanced practice based on their medical education and ability to perscribe and provide medical diagnosis. The practice is biomedical not nursing. I'm not saying there's no place for this level of practitioner, The ANA has been of this mind set since the early 1900 so this is not a new movement. What has happened is that they've forced it through and disenfranchized anyone that doesn't have medical education. There are also nurses that have PhDs and master's degrees without the medical education--and those nurses can only practice bedside nursing as if they have no advanced education--in the capacity of a BSN, but hospitals don't want to pay them. The nurses who want to be nurses and did not chose to practice in a biomedical model are devalued becaue of the story that ANA has sold to the public. It has divided the profession and has put a number of expecptionally well educated and valuable nurses out of work. It is also forcing nurses into making decisions that they don't want to make just so that they can continue to support themselves and their families. Its increasing student dept and more nurses than ever loosing their licenses do to student loans. I know many NPs who put in 80 hours a week and so effectively that salary is not what they think it is--often they are effectively paid much less than they made prior to becoming an NP. ADMIN NOTE: further edits were made to this thread. Please understand this is a SPONSORED TOPIC. Hey guys, these articles didn’t use to be denoted as “sponsored” until the membership here complained. The site owner listened and changed how they were identified so we would know they were from a business entity ( a giant ad) and could ignore them if we wanted. Also, the sponsored articles are one of the reasons most of us (including me) get this site for free. It’s a small price to pay for all the fun here at AN. Sponsored articles are clearly marked in 4 places. There is no deception - no disguise. As Wuzzie said, sponsors/advertisement is what allows you the members the opportunity to post on allnurses FREE. Think about it. We have bills to pay too. "The country needs more nurses who have earned a Master of Science in Nursing to confront this nursing shortage head-on." Ah, so now the solution to our big problem of the nursing shortage is to further increase the educational requirements (and years in school and racking up school loans), by having all the newbies become Masters prepared? No other of level of education that a nurse has could solve this problem!